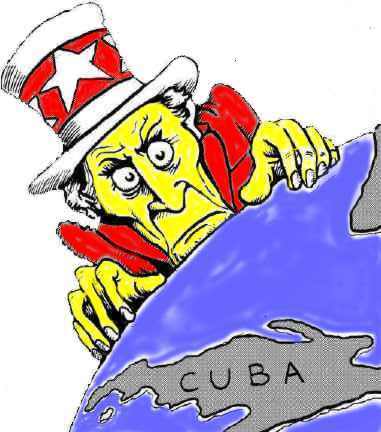 In recent weeks US policy towards Cuba has become more aggressive and there are serious indications that the Bush regime’s foreign policy against our struggling neighbor will become even more hostile. Currently there is a flurry of misinformation, half-truths, and out-right lies being used to justify more aggressive measures against Cuba. Join us for an open discussion about US-Cuba relations. 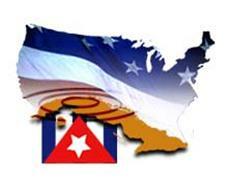 We hope to shed light on the current political and economic situation between our countries; the historical context of the US blockade against Cuba and increased US intervention in the island; the effect of the US blockade on Cuban Americans and US citizens; the humanitarian achievements of Cuba in the face of the US blockade; and the case of the five Cuban patriots who are being unjustly held in U.S. prisons. patriots being held unjustly in US prisons, etc. 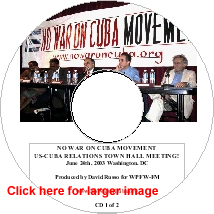 CUBAN INTERESTS SECTION REP., the official diplomatic office of cuba in the U.S.
*This event was aired at 11 pm the same evening on WPFW 89.3 FM. A 2 CD audio set is available.